Atlanta wrongful death lawyer Stephen M. Ozcomert can help family members seek justice after fatal accidents. For over 20 years, Mr. Ozcomert has helped victims hold negligent parties responsible for serious accidents, including those that lead to the wrongful death of a loved one. Honored as a “Super Lawyer,” as well as a member of the “Legal Elite,” Mr. Ozcomert is dedicated to achieving tangible results for personal injury victims and families throughout Georgia. Any combination of parties may be liable for deliberate or careless actions leading to wrongful death. From drunk driving to occupational hazards, unintentional mistakes often end on tragedy. When this happens, Georgia law can require that negligent parties and insurers pay for the resulting medical and funeral expenses, lost income, mental anguish, and other wrongful death damages. OCGA § 51-4-2 specifies that children may not recover damages while the surviving spouse is alive. However, the spouse must hold the recovered compensation in trust for the children and their descendants. A personal representative may hold the amount in trust for the next of kin. Failure to bring an action within the two year deadline may completely bar the right to recovery. Because wrongful death actions are often complex and require extensive preparation, it is crucial to consult an attorney experienced in bringing such claims as soon as possible. 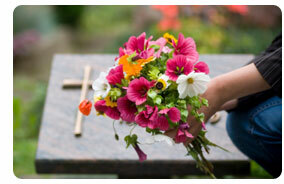 If you have lost a loved one due to wrongful death, Atlanta personal injury attorney Stephen M. Ozcomert can help. We have over 20 years of experience assisting personal injury and wrongful death claimants throughout Georgia. Collaborating with forensic and medical experts, we work to identify all liable parties and prove the full extent of damages arising from the fatal accident. At the law office of Stephen M. Ozcomert, we have helped numerous families recover substantial awards. Let us assist you in seeking the same for your family. Call (404) 370-1000 today for a free consultation or contact us online.